7 day pill boxes with 7 day pill dispenser bays with sliding top. These handcrafted wood boxes are made of finest exotic and domestic solid hardwoods. 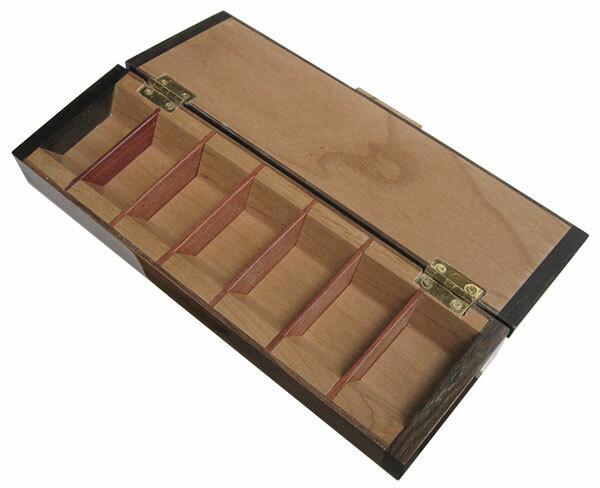 Attractive boxes to sit on top of a dresser or bathroom vanity, or anywhere else. 9-13/16" x 3" x 1-9/16"
This pill box has 7 bays. 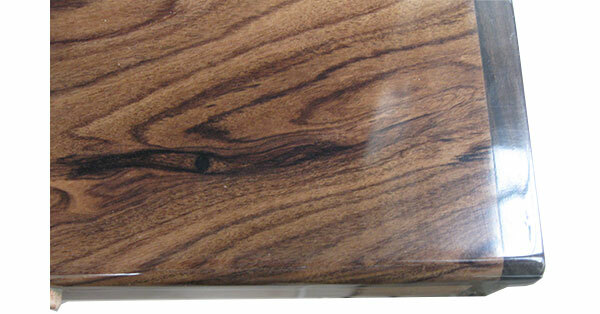 It is made of a shop sawn thick (1/8") Bolivian rosewood vacuum laminated on maple. The ends are solid ziricote. This weekly pill organizer will look good sitting on a vanity or dresser. Perfect for Birthday gift, Mother's day gift, Father's day gift, Christmas present, and any occasion. These are new design pill boxes, with sliding top. You slide the top open to the day at hand and tip the pills out. The day starts at Sunday on the left and goes to Saturday on the far right. 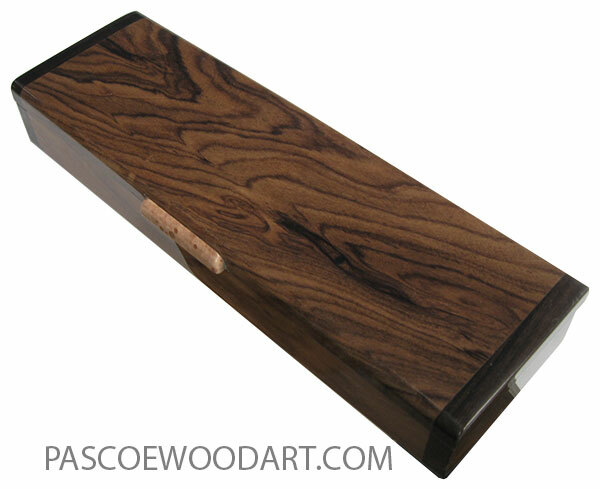 Made from the finest tropical and N. American hardwoods, half the effort that goes into making these fine boxes is in putting on a flawless "piano" finish of water-based acrylic lacquer that is non toxic. I hope you like this new design, as I can make them in reasonable time and can offer them at reasonable prices. Last updated February 1, 2018. Posted January 22, 2018..